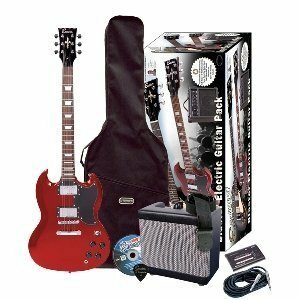 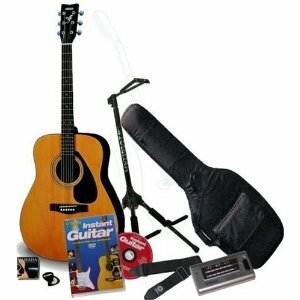 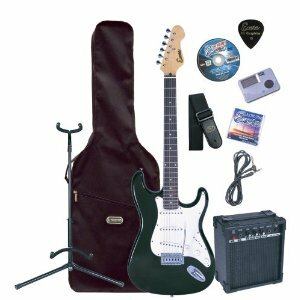 Great guitar for beginners or those on a budget who want a great second guitar. 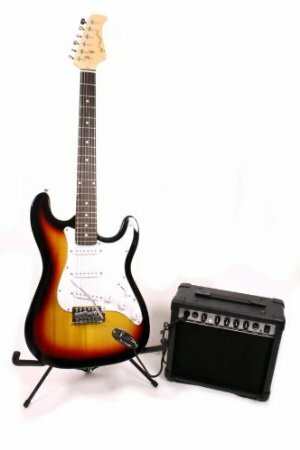 The amazing Ibanez GRG170DX comes in a basswood body – which makes it tremendously light as well as durable and comfortable. 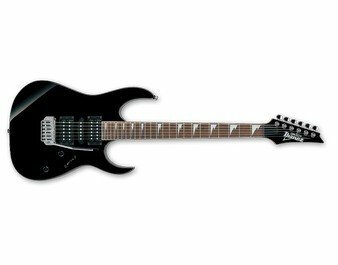 As with all Ibanez models, the GRG170DX has a great balance of highs and lows and features humbuckers as well as single coil pickups. 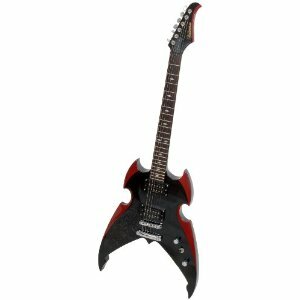 The sharktooth inlay design on the fingerboard only adds to the general attitude and character of this great eye-catching rock guitar.